Members of Russia’s Communist Party will hold a small-scale protest in Moscow today over proposed reforms to the country’s pension and retirement system. A shrinking domestic workforce and rising welfare costs initially saw the government plan to raise the retirement age to 63 for men and women over a five-year period. However, there has been strong backlash from unions, the public and members of the Russian parliament since its announcement. President Putin has seen his first sustained dip in approval ratings in years, falling from 80% to just under 60%. He has now forced his government to update their reform proposals. The revisions are still unpopular but will see the retirement age raised to 63 and 60 for men and women respectively. Savings are expected to be far from the initial $27 billion in annual savings and may cost the state more in the long-term. 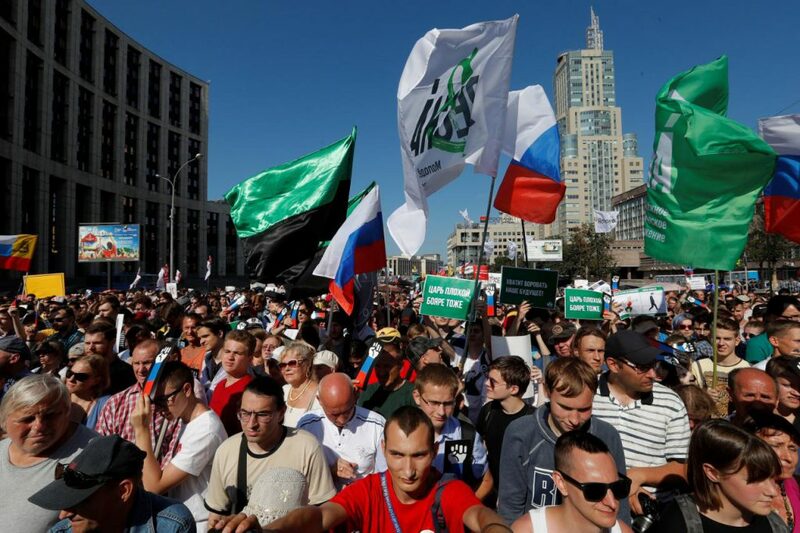 Despite approval for today’s small protest in Moscow and a traditional ambivalence for public dissent, Putin’s taking responsibility for the unpopularity of these reforms highlights the Kremlin’s hesitance to further anger diverse sections of the population. However, despite the reform’s unpopularity and Russia’s continued economic difficulties, such measures are necessary for future financial stability.